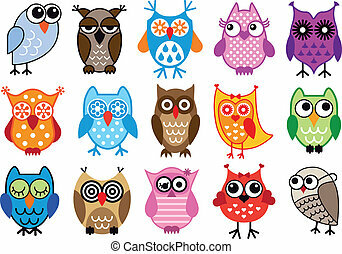 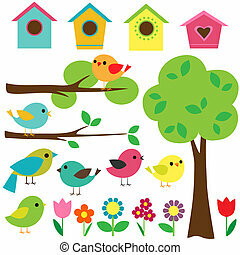 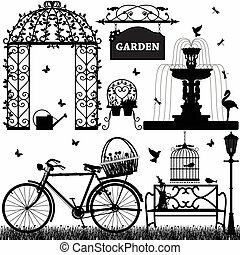 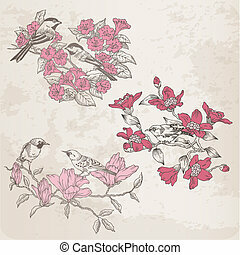 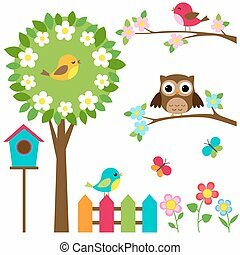 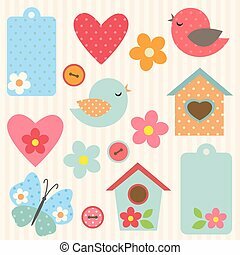 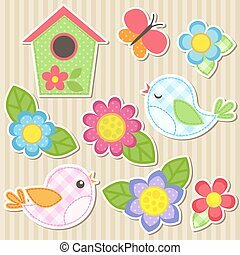 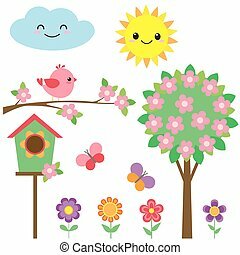 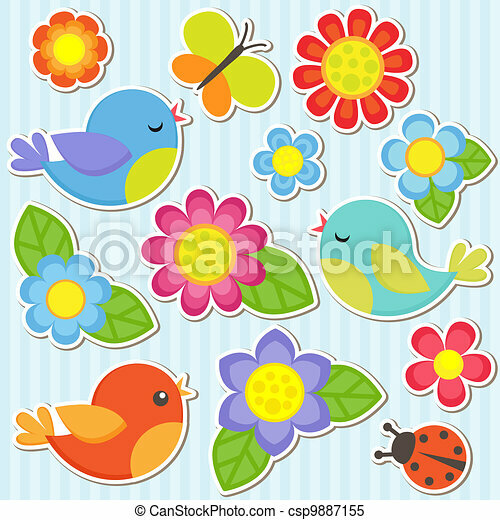 Set of flowers and birds. 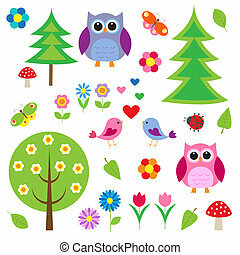 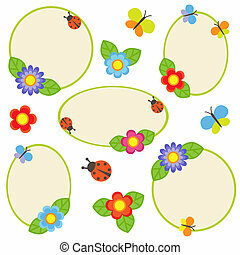 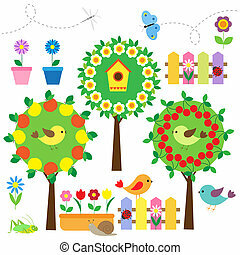 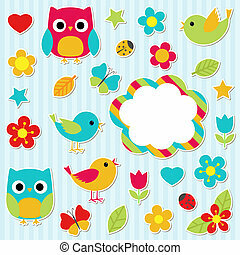 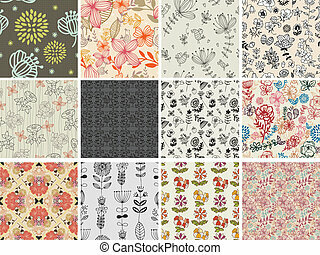 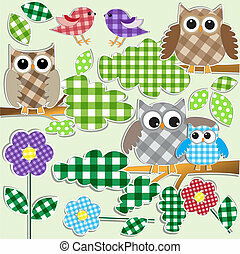 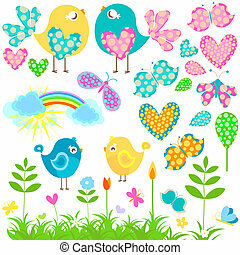 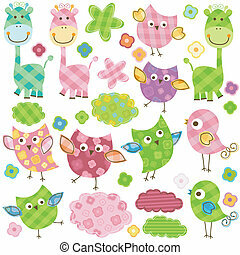 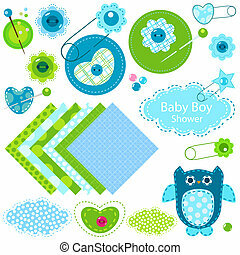 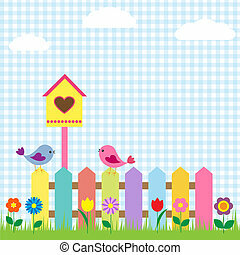 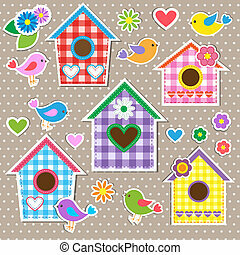 Vector flowers, birds, butterfly and ladybug. 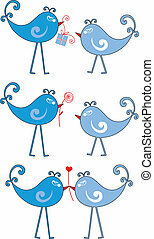 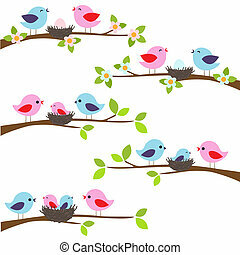 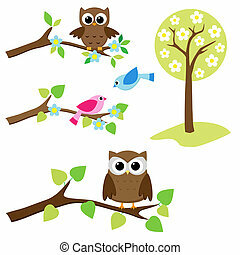 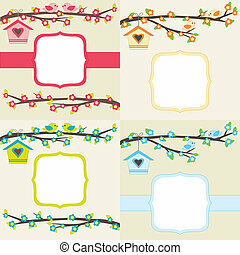 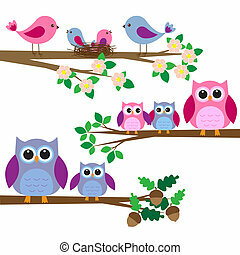 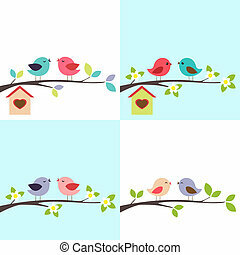 Set of four cards with couples of birds sitting on branches. 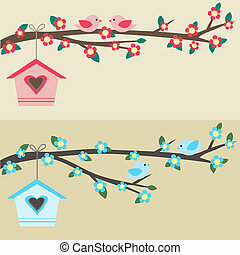 Cards with couples of birds sitting on branches and birdhouses.